Two seniors from the Wentzville School District will wear their high school uniforms one last time this weekend at the Missouri State High School Track and Field Championships. The pair are two of the all-time great Missouri prep athletes in their events, but are entering their final State Championships in very different ways. Holt’s Nataliyah Friar burst onto the scene at the 2010 Class 4 State meet with a runner-up finish in the triple jump and a sixth place finish in the long jump. 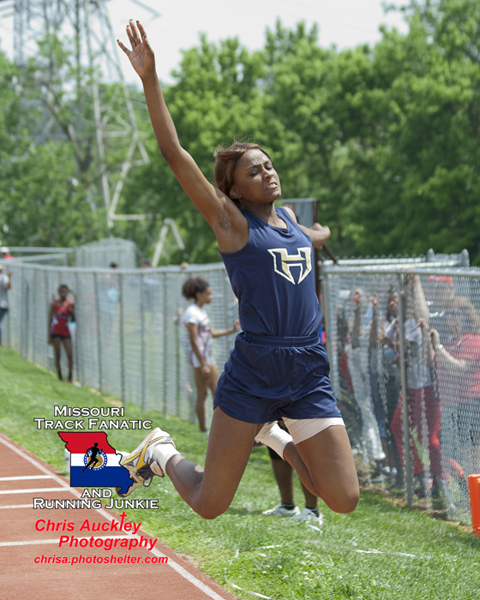 Her wind-aided mark of 38-4.25 in the triple jump was phenomenal for a freshman, already putting her in the top 30 Missouri State Meet performances all-time. Things only got better for Friar who in 2011 went over the elite 40-foot mark in the triple jump before taking the State title in both jumps, while adding an eighth place all-state honor on the 100 meters at the State Meet as a sophomore. At the 2012 State Meet, Friar captured her second straight triple jump crown, took second in the long jump, was seventh in the 100 and added a 10th place finish in the 200 meters. A few weeks later, Friar went really long in the long jump. In the altitude of Albuquerque, NM, Friar leaped a wind-aided 19-9.5 at the Great Southwest Classic. If Friar had any doubters about her ability with the wind and altitude aided mark from New Mexico, Friar returned to the track in Bloomington, In for the USATF Junior National Championships. Friar finished eighth in the long jump with a 19-4.75 to earn All-American Honors. A highly sought after recruit, Friar signed to compete at LSU next year over the winter. The LSU program is known for their history of sprint and jumps success that led them to more national championships than anyone else on the women’s side in NCAA Division I competition. After a personal best of 40-4 in the triple jump and an 18-9 long jump in February at the Mizzou Big River Running High School Indoor Series, things seemed like they were on track for a record-breaking year. The triple jump State Meet mark by Park Hill’s Deidre Fordman of 40-9.25 from 1995 seemed like it could be in jeopardy. In addition, with several of the best sprinters in the state graduating in 2012, Friar had a chance to score a bunch of points by herself at the state meet, maybe even enough to capture a top-4 State team trophy. Friar started the season strong with soild marks in the sprints and jumps during the rainy spring season. 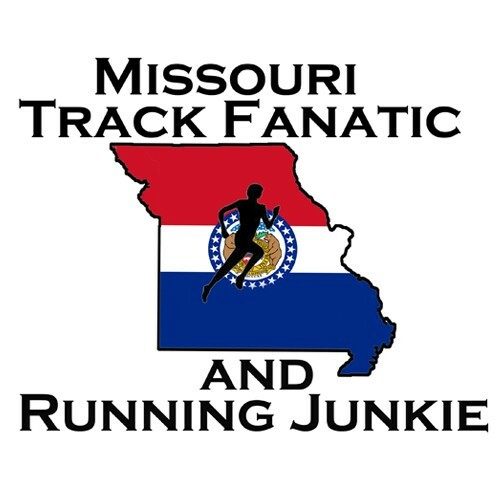 Unfortunately everything changed on Saturday April 13 at the Capital City Relays in Jefferson City. Friar sprinted down the runway in the long jump at Licklider Track, planted and jumped. That’s when she hurt her hip-flexor muscle. She had managed a measureable jump of 17-2.5, which was good enough for fourth place, but her day was done and senior season in doubt. Friar scratched her final three events of the meet and left for treatment. Friar didn’t compete again until almost a month later at the Class 4 District Meet. Competing with a wrapped hip at Districts and Sectionals, Friar not only qualified through districts in all four of her events, but also through sectionals, advancing to the State Meet in the 100, 200, triple jump and long jump. 4th place is the first place ‘cause you are still going on to the next round.’ I’m a senior this year I’m happy to just keep moving on and going to state”. Friar finished out the Sectional meet with a fourth place finish in the 200 in 25.30, to qualify for state in four events for the second straight year. No matter how Friar’s season ends, it’s clear she’s one of the state’s all-time best horizontal jumpers and has the determination and perseverance that coaches want to see in their athletes. Josh McDonald’s progression to a state champion and all-time best Missouri prep performer is a little more traditional. Josh first got involved in track and field throws while in 7th grade. Josh’ brother Alex, who is four years older, had an great career himself at Timberland and is competing at the University of Missouri. He helped influence Josh who after a fifth place discus finish and 12th place shot put finish at the State meet as a sophomore, that track and field was something he really loved and wanted to be great at and do even past high school. McDonald is built for the throws. He stands about 6’4 and appears to weigh about 250 pounds, and is long, strong and lean. Just what coaches look for and what physicists will tell you is helpful to throw a disc a long way. After his sophomore season performance, McDonald took this to a whole new level as a junior. KSDK, the NBC affiliate in St. Louis featured McDonald and noted that at one of the St. Louis area meets, officials had to stop traffic on the road near the discus field, to avoid any possible damage or accidents cause by far throwing McDonald. He went on to capture the Class 4 Discus title with a 187-10 mark to move to 6th place on the all-time Missouri State Meet performance list. That puts him less than two and a half feet behind his Brother Alex’s mark of 190-02, which is second all-time. Josh improved in the shot as well, taking fifth place in the shot put with a mark of 54-5.5. A few weeks after state, McDonald competed at the USA Track and Field Junior National Championships. Using the heavier junior international disc, McDonald finished 26th, managing a respectable 160 feet on his only fair mark of this three throws. Asked if he was thinking about capping his high school career with records, reach certain marks or trying to join Jefferson City’s Russ Bell and Lee’s Summit North’s Chris Rohr as the only two Missouri boys to eclipse the 200-foot mark in the Discus, McDonald said: “In the throwing areas specifically, you just have fun and the big throws will come, and thats what our goal for the season was. Just relax and throw the best you can throw. At the Parkway South-Timberland Throws Dual early in the season, McDonald threw for a new personal best of 192 feet in the discus. McDonald hit the 190 foot mark several times in the regular season and kept improving his shot put performances before the State Track and Field Series. McDonald did just that. On his first attempt at the Sectional meet, he went 186-8, good enough for the win. With that mark in hand, McDonald launched two fouls and a 176 -foot toss, which itself was 19-feet better than the runner-up.